In 1874, James Lewis Kraft (J.L.) was born in Ontario, Canada, the second of eleven children in a Mennonite family. When he was eighteen years old, he took a job at Ferguson’s Grocery in Fort Erie, Ontario. An opportunity arose for him to invest in a cheese company in Buffalo, New York, and after moving to Buffalo, his partners sent him to Chicago on business. However, while in Chicago, his unscrupulous partners dissolved the company, leaving him with no company and no income. With only $65 in his pocket, he bought a horse named Paddy and a wagon in order to carry out an idea he had to sell cheese door-to-door. The year was 1903, and grocers didn’t have refrigeration, so cheddar cheese was not carried in the stores since it would mold quickly. In addition, the cheese was only available in large wheels called “mammoths,” which made storage even more difficult. J.L. decided to go to the wholesale farmers’ market, buy a mammoth of cheese to put in his wagon, and starting early in the morning before the temperatures got too warm, he’d go up and down the city streets, selling pieces of the cheese he cut off. The idea was a good one, but at first, J.L.’s sales didn’t take off the way he’d hoped. After a while of no success, J.L. had a conversation with Paddy. You see, J.L. was raised a devout Christian, and he realized he’d forgotten something. As he told the story later, he said, “Paddy, I think we need a partner in our business, and that partner is God. So let’s ask Him to join us.” Soon after J.L.’s new partner joined him, the business took off. By 1909, his business was so good, four of his brothers joined him and the company was named J.L. Kraft Bros. Co.
Because natural cheese continues to age and thus spoil or mold, J.L. experimented with ways to extend its shelf life. By shredding the cheddar and heating it, he was able to stop the aging process, and in 1916, he received a patent for pasteurized, processed cheese. His process cheese was not only nonperishable, it could be shaped into smaller sizes and wrapped in foil or put in glass jars. By 1915, Kraft was putting process cheese in tin cans and exporting the product to other countries. During World War I, the U.S. Government ordered more than six million pounds in small cans to feed soldiers overseas. The name “K-rations” was derived from these cans of Kraft cheese. J.L. 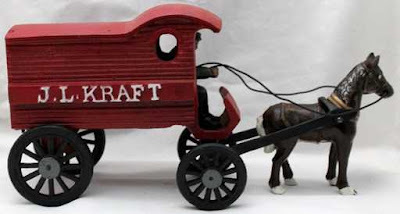 Kraft was known for being innovative, from the cheese he produced to added products like Velveeta and Parkay. In addition, he was one of the first companies to use advertising on a large-scale basis, a pioneer in branding, making the Kraft name a household word. 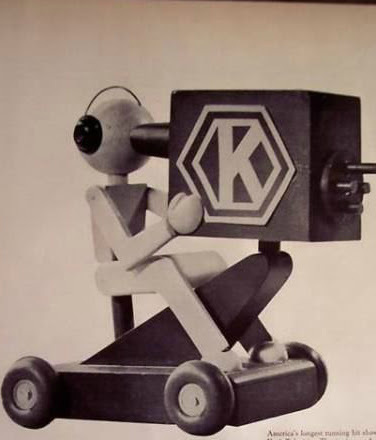 While in his seventies, Kraft jumped into the new medium of television, helping to create one of the first major television programs, “The Kraft Television Theatre,” which ran from 1947 to 1958. For 25 years, I was employed by Kraft Foods and was especially pleased to know its founder was a devout Christian. His high moral standards and work ethnic permeated the company for many years, and I’ll always remember one of his favorite expressions, “What we say we do, we do do.” I tried to make that motto part of my own work ethnic as well, and keep my word to my customers. I bet you’ve had a Kraft product in your home at some time, if not cheese, then mayonnaise, dressings, maybe even marshmallows or caramels. Do you have a favorite? Leave me a comment, and I’ll enter you in a drawing to win one of my books of your choice! Multi-published author Marilyn Turk calls herself a “literary archaeologist,” because she loves to discover stories hidden in history. Her World War II novel, The Gilded Curse, won a Silver Scroll award. When readers asked what happened to the characters after the book, Marilyn wrote the sequel, Shadowed by a Spy. Her four-book Coastal Lights Legacy series—Rebel Light, Revealing Light, Redeeming Light, and Rekindled Light—feature Florida lighthouse settings. In addition, Marilyn’s novella, The Wrong Survivor, is in the Great Lakes Lighthouse Brides collection. 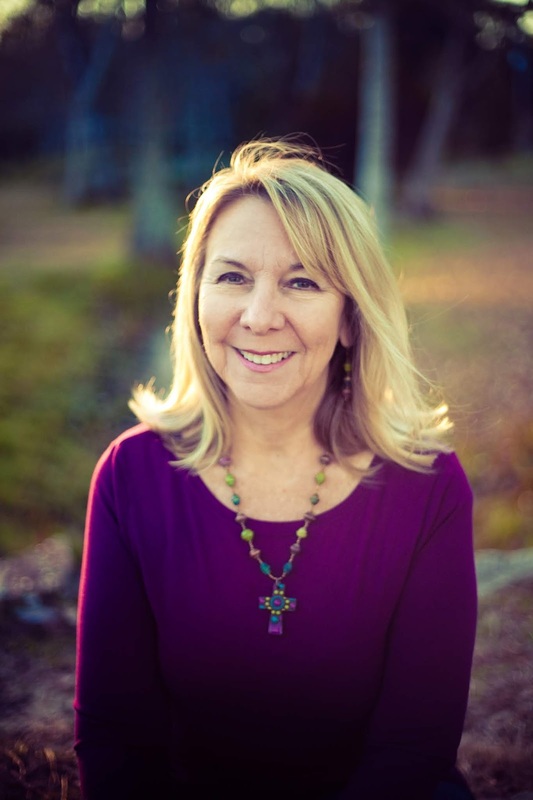 Marilyn has written a book of devotions called Lighthouse Devotions and also writes for the Daily Guideposts Devotions book. Website: http://pathwayheart.com. Hi Kay. I'm glad you enjoyed the post! Thanks for your comment. What an interesting post. I had no idea the company was started by a Christian. Thanks for sharing. Most people don't, Linda, and probably only "old-timers" like me are aware of the story. 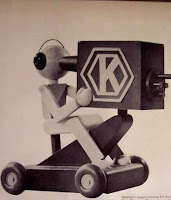 When I was hired in 1977, I was given a booklet on the history of Kraft that gave that information. Sadly, I seriously doubt that booklet is given out to today's employees. This was fun! Good to know that a good Christian started this trademark company that everyone has heard of nowadays! I wonder if it is still carrying out its' Christian values now. Thanks for the post! I don't know, Connie, but I hope so. Fascinating post. I’m glad to see another of our great American companies started by a Christian. I guess Kraft Caramels would be a favorite. But I love Cheese, too! Cream Cheese? Hi Paula. I have a difficult time buying any other brand but Kraft, feeling disloyal if I do. I was shocked when my husband brought home a different cream cheese than Philadelphia brand! In my mind, it couldn't possibly be as good! Hi Betti. Glad you enjoyed the post. Yes, thank God, J.L. didn't give up after the bad experience he had in Buffalo. Marilyn, a wonderful post about the well known name of Kraft on shelves. I do not consume a lot of cheese but Kraft dressings are wonderful. Partnering with God is always the best thing to do in this life. Blessings. Hi Marilyn! You are so right! Thanks for the comment! I had a grilled cheese sandwich for supper last night. I'm like you in buying this particular brand. Some things I do, but not for sandwiches. I also enjoy reading your devotionals in Guideposts. Thanks, Linda, for your comment, and thank you too, for reading Guideposts! Thank you, Marilyn, for this very interesting post! I didn't know the history of KRAFT. How wonderful that he was a Christian, and I love that the Lord was his 'silent partner'! As for a favorite KRAFT product...what's not to like?! Caramels, cream cheese, cheese, marshmallows...it's hard to pick just one :) Thank you as well for a chance to win a copy of one of your books!! 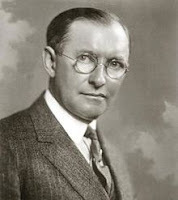 This was a very interesting post; I enjoyed learning the history behind Kraft. Their caramels are probably my favorite, but I would be remiss if I didn't mention that I love their cream cheese since my town is home to Kraft-Heinz's largest cream cheese factory in the US.